In the heart of Maremma. 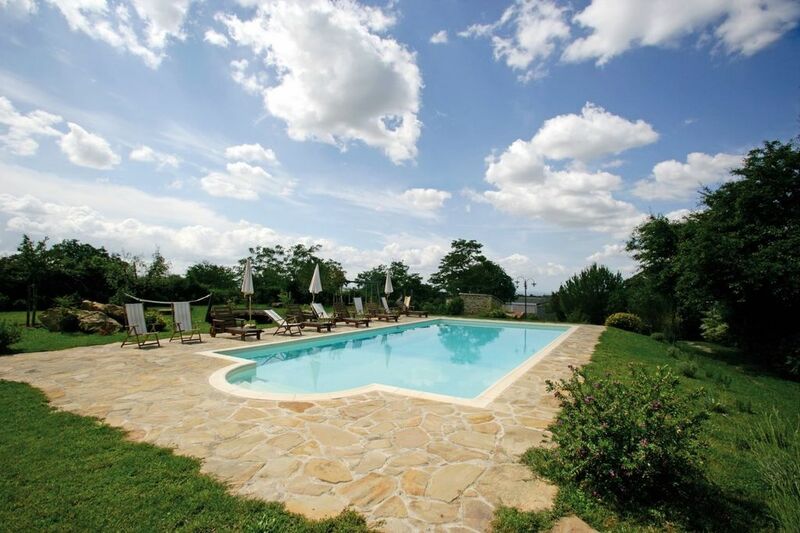 The Agriturismo Le Calle is located in the heart of Maremma, around 9 km away from both Cinigiano and Paganico. It is the ideal place for whomever is searching for relax immersed into the Tuscan green hills and in touch with nature and animals. The farm is made of 80 hectares and produces fine wines Montecucco D.O.C., extra virgin olive oil, “Cinta Senese” cold cuts, honey, cereals and legumes (spelled, chickpeas, cicerchie and lentils). For families with children will be a unique opportunity to get in touch with the farm animals, such as sheep, donkeys of Amiata breed, Cinta Senese pigs and Maremma cows. The seaside resorts such as Castiglione della Pescaia, Marina di Grosseto and Marina di Alberese are about 50 km away and are therefore easily reachable in around 30 minutes by car. The apartments. The agriturismo le Calle consists of 4 apartments, 3 of which are located in the farm center, (Carola, Olinto and Bandiera), and from the small house LE CALLE, which is 2 km away, reachable through a non-asphalted road, not advisable for sports cars. Each apartment has its own outdoor space equipped with table, chairs, sun umbrella and barbecue. Swimming pool, external spaces and services. Adjacent to the farm center, where the owner's house is located, there is a beautiful swimming pool (size 6x12 m - depth 1.20 - 1.70 m), a communal laundry with bathroom with shower, 2 bicycles and a children playground. The Agriturismo, activities, dinners and tastings. In the months of June, July and August, during the stay the owner will offer you a trip with AGRIBUS, a trailer used to transport people towed with the tractor, which is the modern version of the cart pulled by oxen and will take you around the farm to admire the beautiful landscape of the hills of the Maremma. After the trip, to all participants will be offered a dinner - tasting with the farm products (included in the price for reservations of one or more week). Small stone house 2 km away from the farm center and from the swimming pool, (unpaved road) ideal for those seeking for relax and privacy. GROUND FLOOR: living-dining room with kitchen corner and fireplace, bathroom with shower. FIRST FLOOR: with access from both internal and external staircase, double bedroom, twin bedroom and bathroom with shower. EQUIPMENT: refrigerator with freezer compartment, dishwasher, oven, filter coffee maker, espresso coffee maker with pods, TV, hairdryer, mosquito nets, Wi-Fi at the pool, private parking space, communal washing machine, kettle, microwave, toaster.